As most of you are aware, jaundice occurs in up to 90% of babies in the first few days of life due to the reason that the baby’s liver isn’t mature enough to dispose a pigment called bilirubin, a yellow colored pigment of red blood cells. Therefore, it gives a baby’s skin and eyeballs a yellow tinge. The best way to check for jaundice is to press your finger gently on your baby’s forehead or nose. If the skin looks yellow where you pressed, it’s likely your baby has jaundiced. If your baby doesn’t have jaundice, the skin color should look slightly lighter then its normal color for a moment. Bilirubin is a byproduct of the normal breakdown of red blood cells and the liver processes bilirubin so that it can be excreted by the body as waste. At birth, a baby’s liver is still developing its ability to process bilirubin. Therefore, bilirubin levels are a little high at birth and jaundice is present to some degree in almost all newborn babies. This form of jaundice usually appears between 2[SUP]need[/SUP] and 5[SUP]th[/SUP] day of life and clears by two weeks which causes no problem. Treatment is usually not necessary as long the baby is well hydrated with formula or breast milk. Encourage frequent bowel movements by feeding frequently so that bilirubin is carried out of the body by the intestines in the stools. Sometimes photo therapy with artificial lights are used on babies whose levels are very high, or in premature babies. These lights work by helping to break down bilirubin in the skin and therefore they are placed naked under these artificial lights in a protected isolette to maintain constant temperature. However, prolonged jaundice is a significant indicator of paediatrics liver disease. 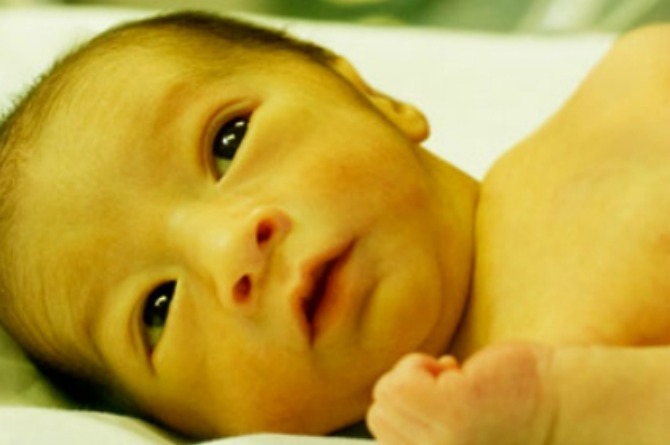 Prolonged jaundice is defined as jaundice persisting beyond two weeks of age in a term baby. Although it is more common in breastfed infants but the definition DOES NOT change with feeding type. All babies with prolonged jaundice, whether bottle or breastfed, must be investigated for liver disease. Please do not treat prolonged jaundice lightly as it can be life threatening.